Dr Pitsilis first leant to use Botulinum Toxin therapy in 2003 and has since been using it medically and cosmetically. After conventional therapies for several conditions have failed, she understands how to use these injections to help with many chronic pain or muscular spasm conditions. 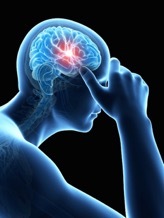 When it comes to disabling pain or headaches, this treatment may enable the reduction of pain killing medications and doctors' visits as well as time off work. Botulinum Toxin is a protein extracted from the bacterium Clostridium botulinum. The protein was initially used for the treatment of muscular disorders and various kinds of involuntary muscular spasms, including cerebral palsy. It was further developed to treat a wide variety of neuromuscular disorders, for which it is licensed in many countries around the world. Tiny amounts of Botulinum Toxin are injected directly into the areas identified. The treatment takes only a few minutes, and you can return to work immediately. In cosmetic treatments it takes between 3-14 days to work. Because it works differently in chronic pain by influencing pain messengers, it will usually work in 48 hours or less. If an adequate dose has been given, around 3 months. Often an adjustment to the dose may be needed at the second visit if the effect has worn off earlier than expected. How do you know where to inject and how much? Dr Pitsilis has had many years of experience, has researched the scientific literature and also knows which patterns of pain are more likely to respond as well as which doses to use. Are any other types of treatments likely to be needed? With complicated medical conditions, internal health often needs attention. In this situation, it is often possible to avoid the use of Botulinum toxin which is used as a last resort. 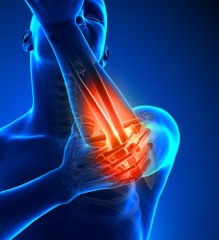 Sometimes other treatments like Low Level Laser therapy can also be used in combination in some of these conditions. Botulinum Toxin therapy is used in very small amounts and is generally safe. Who shouldn't have Botulinum Toxin? It is not recommended in pregnancy and breast feeding as well as certain neurological conditions and certain antibiotics. It has been used in many conditions including writers cramp, neck spasms, cerebral palsy, stroke, bells palsy, Multiple sclerosis, inside bladders and for vocal cord problems.